Beauty is in the eye of the beholder. The BMW M Coupe! What happens when five passionate BMW engineers with minimal marketing finesse take it upon themselves to transform a roadster into an exhilarating high-performance coupe? The answer is the BMW M Coupe. 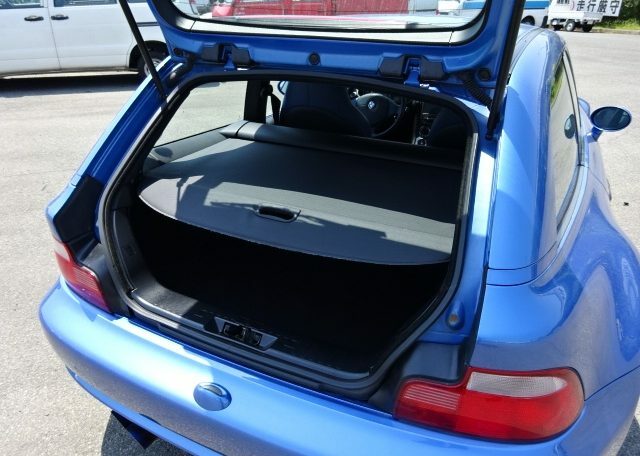 When released in 1999, its unorthodox shooting-brake styling turned drivers away in droves. The long hood and breadmobile cabin quickly earned it the nickname “clown shoe.” But enthusiasts gradually came to recognize the unrivaled performance and gained appreciation for its distinctive styling as well. Many fans now consider the body muscular and attractive. They love the aggressively flared rear fenders, the batmobile front end, the dozen or so eye-catching available colors, and even the eccentric front “kidney” grilles. In fact, the M Coupe has become nothing less than a cult classic beloved by enthusiasts and collectors alike — as reflected by skyrocketing prices that can reach 60% higher than the original MSRP. The first-generation M Coupe shares many of its components with the Z3 Roadster, including doors, several body panels, much of the front end and most of the interior. 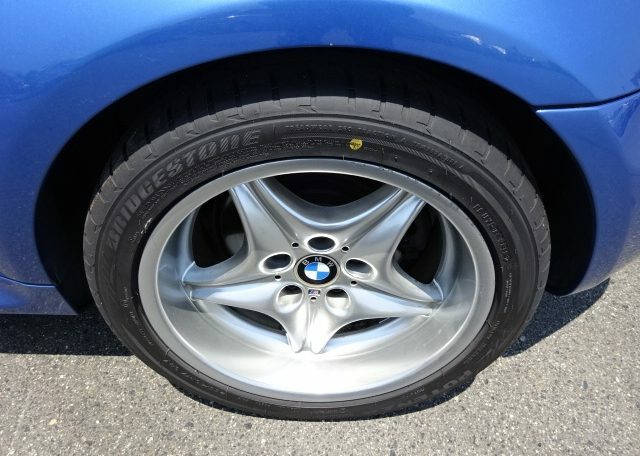 But BMW added wider wheels and made the chassis around 2.6 times more torsionally rigid than the roadster’s. This remarkable structural stiffness contributes to exceptional handling supported by very precise steering, incredible grip and stability, powerful brakes that are easy to control, and clear feedback that keeps you connected with the road. The M Coupe corners sharply with no perceptible body roll, making it easy to drive aggressively on surpentine mountain roads. You have to push the M Coupe hard to experience twitchiness and understeer. 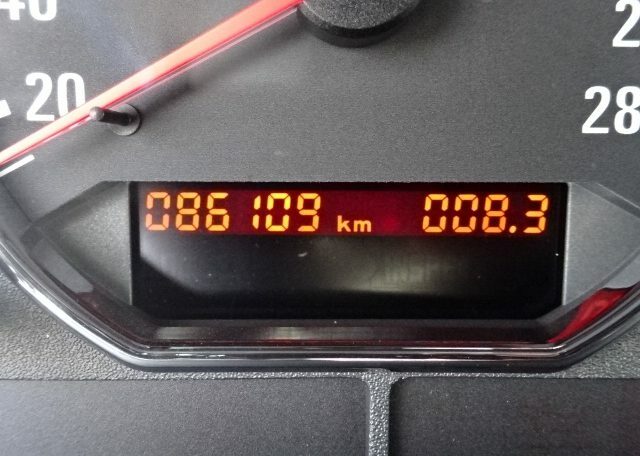 The ride is firm, as you would expect from a sports machine, courtesy of front MacPherson struts and rear semi-trailing arms. 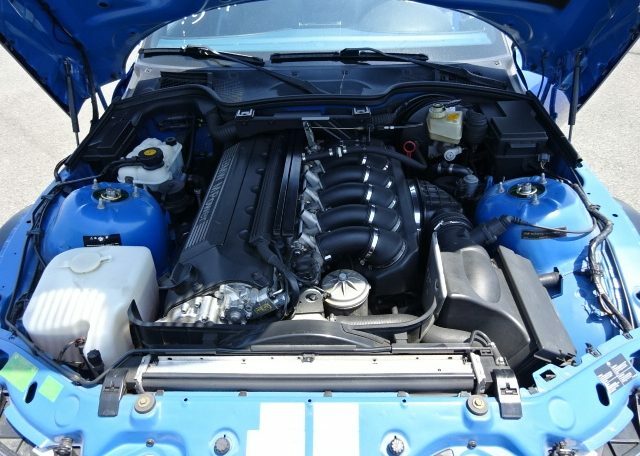 The powerful 3.2-liter DOHC 24-valve straight-six S50 engine in the European (and Japanese) version of the first-generation M Coupe accelerates the M Coupe from 0-60 in 5.3 seconds thanks to 258 lb/ft of torque at 3,250 rpm and 321 hp at 7,400 rpm — nearly 100 hp per liter. 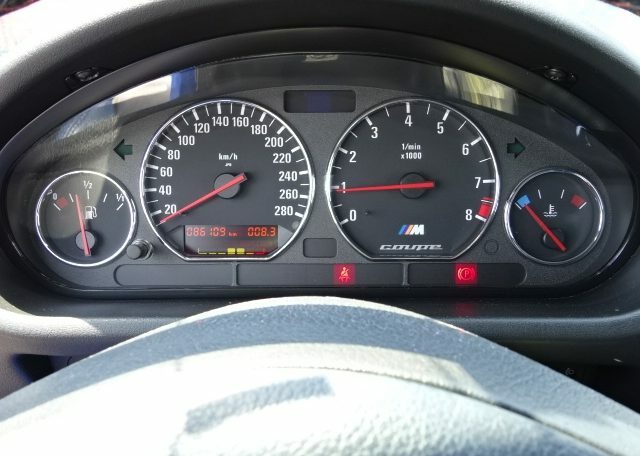 This modified version of the European E36 M3 engine features an aluminum cylinder head, lightweight pistons, a high 11.3:1 compression ratio, multipoint injection, BMW/Siemens MSS 50 engine management and VANOS continuously variable valve timing for the intake and exhaust valves. It delivers strong torque across the entire rpm range for smooth, tractable power at low vehicle speeds and instant acceleration at high vehicle speeds. When you press the pedal, it roars like a jet engine. Top speed is officially limited to 155 mph, but goes higher, and fuel efficiency is a respectable 15mpg in the city and 28mpg on the highway. The transmission, one of BMW’s best, is a ZF Type C five-speed manual gearbox precisely controlled through short shift throws. The interior is spacious with plenty of legroom, even for tall drivers, and lots of room for groceries and luggage in the rear where a partition net and cargo cover are provided. 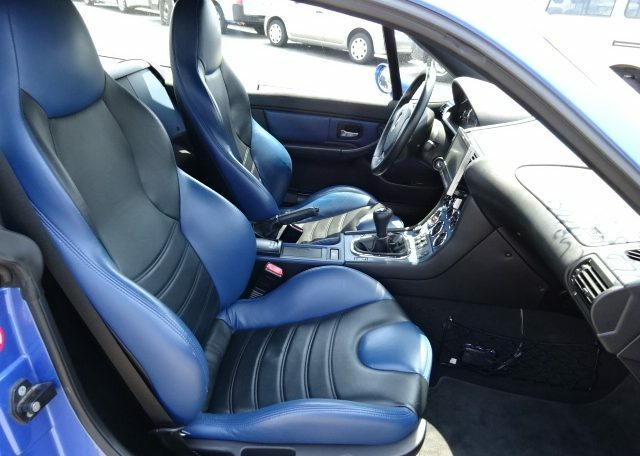 Contoured two-tone leather sports seats provide firm support around corners as well as two-stage heating and power adjustment. The cockpit is highlighted by a big three-spoke steering wheel, sporty meters with red needles, three chrome-ringed gauges in the center console (clock, volt-meter and oil temperature), straightforward climate controls and an illuminated leather shift knob. 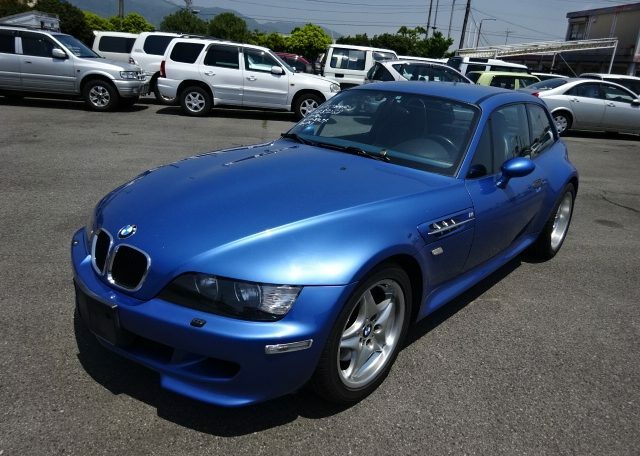 This blue 2000 BMW M Coupe looks new despite its 86,000 kilometers and has been extremely well maintained by its attentive owner in Japan. It’s the standard model, with everything stock from alloy wheels to two-tone blue/black interior, and is super fun to drive. Only 6,318 units were produced in total during the M Coupe’s 1998 to 2002 production run. So you get stared at wherever you drive it. The rarity also means that M Coupes retain their value more than most modern BMWs. First-generation models like this blue one remain relatively affordable, for now, but many second-generation models with more powerful engines are selling for over 50,000 US dollars. 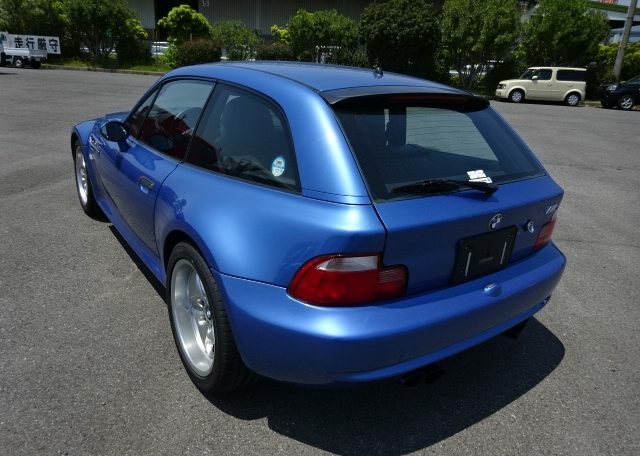 If you’ve caught the BMW M Coupe bug and must find one for yourself, then by all means contact Japan Car Direct. Some of the best deals can be found in Japan, where prices are often lower, vehicles are often in better condition, and the incredible range of choices is simply unparalleled. Importing used cars directly from Japan can lead to big savings over local dealers, and Japan Car Direct can make the process easy. 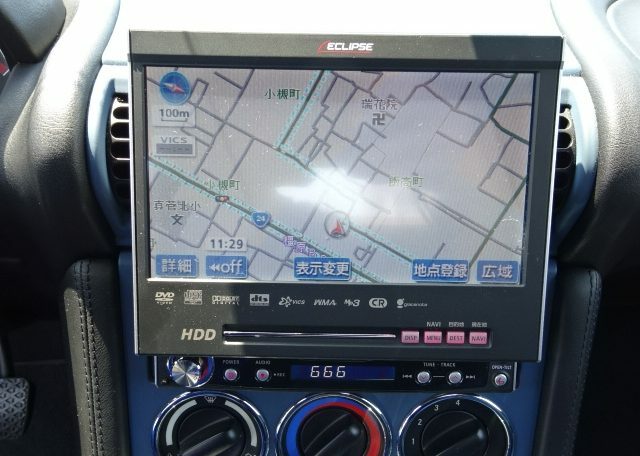 We help you find the right vehicle from an auction, specialist dealer or private owner in Japan, arrange for a third-party inspection, make the purchase and export the vehicle to your nearest port without delay. This is true not only of M Coupes, but also JDM performance cars, German LHD and RHD luxury cars, Italian supercars or whatever drives your dreams. Contact Japan Car Direct today and transform your dream to reality.